Crafted of radiant white diamonds, these Elizabeth Locke earring pendants add evening decadence to everyday hoop earrings. 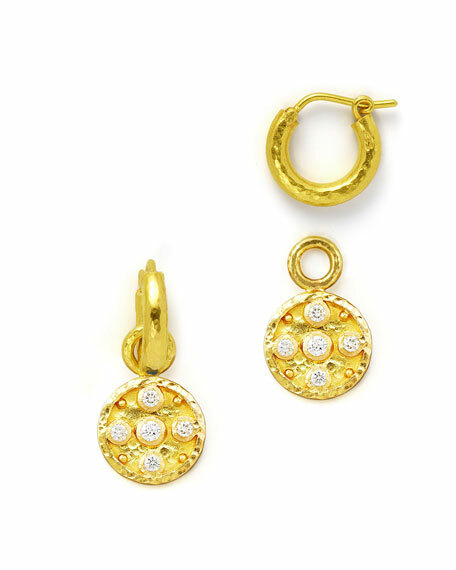 Set of two charms; complete your look with a favorite pair of earrings in your collection. Please note: Hoop earrings, shown, are sold separately. 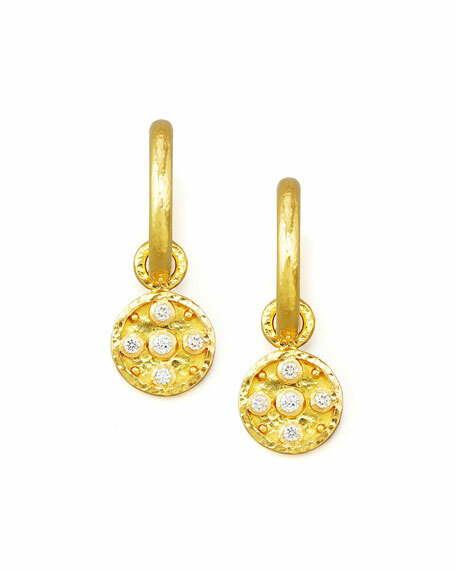 19-karat yellow gold with hammered finish. Flat disc drop features five round-cut, bezel-set white diamonds and granulated detailing. Link at top slips easily onto hoop earrings. Approx. 0.36 total diamond carat weight.